Banni M, Sforzini S, Arlt V.M, Barranger A, Dallas L.J, Oliveri C, Aminot Y, Pacchioni B, Millino C, Lanfranchi G, Readman J.W, Moore M.N, Viarengo A, Jha AN (2017). Assessing the impact of Benzo[a]pyrene on Marine Mussels: Application of a novel targeted low density microarray complementing classical biomarker responses. PLOS ONE. 1. Jha AN (2013) Ballast Water Treatment: Implications for Genetic Damage to the Natural Biota. In Emerging Risks from Ballast Water Treatment (Chapter 11) (Eds. Barbara Werschkun, Thomas Höfer, Matthias Greiner), Federal Institute for Risk Assessment; 10589 Berlin, Germany; ISBN 3-938163-96-8. 1. Co-Edited Special issue: The English Channel and it’s catchments: Status and Responses to Contaminants’. Marine Pollution Bulletin 95, 2, June 2015. 2. Co-Edited Special issue: Environmental Radioactivity: Implications of Human and Environmental Health. Journal of Environmental Radioactivity 133, July 2014. 1. 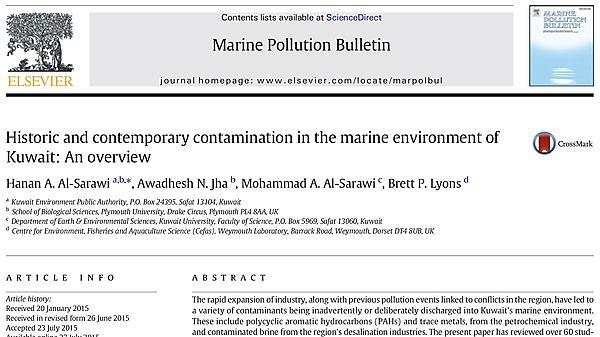 Al-Sarawi, HA, AN Jha, MA Al-Sarawi, BP Lyons (2015) Historic and contemporary contamination in the marine environment of Kuwait: an overview. 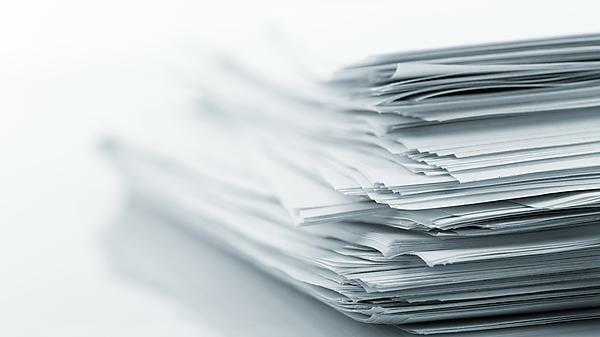 Marine Pollution Bulletin 100, 621–628. 2. Millward GE, AN Jha, C Minier, N. Pope, WJ Langston (2015) The English Channel and its catchments: Status and responses to contaminants. Marine Pollution Bulletin 95, 523-528. 3. Dallas LJ and AN Jha (2015) Applications of biological tools or biomarkers in aquatic biota: a case study of the Tamar estuary, South West England. Marine Pollution Bulletin 95, 618-633. 4. Wang Q, AN Jha, X Chen, J-f Dong, X-min Wang (2015) The future of nuclear safety: vital role of geoscientists? Renewable and Sustainable Energy Review 43, 239-243. 5. Jha AN, WH Blake, GE Millward (2014) Environmental Radioactivity: implications for human and environmental health. (Editorial). Journal of Environmental Radioactivity 133, 1-4. 6. Werschkun B, S Banerji, OC Basurko, M David, F Fuhr, S Gollasch, T Grummt, M Haarich, AN Jha, S Kacan, A Kehrer, J Linders, E Mesbahi, D Pughiuc, SD Richardson, B Schwarz-Schulzj, A Shah, N Theobald, U von Gunten, S Wieck, T Höfer, (2014) Emerging risks from ballast water treatment: The run-up to the International Ballast Water Management Convention. Chemosphere 112, 256-266. 7. Wang Q, Xi Chen, AN Jha, H Rogers (2014) Natural Gas from Shale Formation – The Evolution, Evidences and Challenges of Shale Gas Revolution in United States. Renewable and Sustainable Energy Review 30, 1-28. 8. Dallas LJ, MKeith-Roach, BP Lyons, AN Jha (2012) Assessing the impact of ionising radiation on aquatic invertebrates: a critical overview. Radiation Research 177, 693-716. 9. Handy RD, N van den Brink, M Chappell, M Mühling, R Behra, M Dušinská, P Simpson, J Ahtiainen, AN Jha, J Seiter, A Bednar, A Kennedy, T Fernandes¬, M Reidiker (2012) Practical Considerations for Conducting Ecotoxicity Test Methods with Manufactured Nanomaterials: What Have We Learnt So Far? Ecotoxicology 21, 933-972. 1. Dallas LJ, TP Bean, A Turner, BP Lyons, AN Jha (2016) Exposure to tritiated water at an elevated temperature: Genotoxic and transcriptomic effects in marine mussels (M. galloproviancialis). Journal of Environmental Radioactivity (In press). 2. Dissanayake A, AG Scarlett, AN Jha (2016) Diamondoid naphthenic acids cause in vivo genetic damage in gills and haemocytes of marine mussels. Environmental Science and Pollution Research 23, 7060-7066. 3. Langan LM, NJF Dodd, SF Owen, WM Purcell, SK Jackson, AN Jha (2016) Direct measurements of oxygen in the middle of 3D tissue cultures using electron paramagnetic resonance spectroscopy. PLOS ONE DOI:10.1371/journal.pone.0149492. 4. Dallas LJ, A Devos, B Fievet, A Turner, BP Lyons, AN Jha (2016) Radiation dose estimation for marine mussels following exposure to tritium: best practice for use of the ERICA tool in ecotoxicological studies. Journal of Environmental Radioactivity 155-156, 1-6. 5. Barón E, A Dissanayake, V Judit, C Crowther, J Readman, A Jha, E Eljarrat, D Barcelo (2016) Evaluation of the genotoxic and physiological effects of decabromodiphenyl ether (BDE-209) and dechlorane plus (DP) flame retardants in marine mussels (Mytilus galloprovincialis). Environmental Science and Technology 50, 2700-2708. 6. Oommen D, D Yiannakis, AN Jha (2016) BRCA1 deficiency increases the sensitivity of ovarian cancer cells to auranofin. Mutation Research 784 (Fundamental Mol. Mech. of Mutagenesis), 8–15. 7. Devos A, LJ Dallas, C Voiseux, C Lecomte-Pradines, AN Jha, B Fievet (2015) Assessment of growth, genotoxic responses and expression of stress related genes in the Pacific oyster Crassostrea gigas following chronic exposure to ionizing radiation. Marine Pollution Bulletin 95, 688-698. 8. Mustafa SA, SS Karieb, SJ Davies, AN Jha (2015) Assessment of oxidative damage to DNA, transcriptional expression of key genes, lipid peroxidation and histopathological changes in carp Cyprinus carpio L. following exposure to chronic hypoxic and subsequent recovery in normoxic conditions. Mutagenesis 30, 107-116. 9. D’Agata A, S Fasulo, LJ Dallas, AS Fisher, M Maisano, JW Readman, AN Jha (2014) Enhanced toxicity of ‘bulk’ titanium dioxide compared to ‘fresh’ and ‘aged’ nano-TiO2 in marine mussels (Mytilus galloprovincialis). Nanotoxicology 8, 549-558. 10. Reinardy HC, J Dharamshi, AN Jha, TB Henry (2013) Changes in Expression Profiles of Genes Associated with DNA 1 Repair Following 2 Induction of DNA Damage in Larval Zebrafish Danio rerio. Mutagenesis 28, 601-608. 11. Dallas LJ, TP. Bean, A Turner, BP. Lyons, AN. Jha (2013) Oxidative DNA damage may not mediate Ni-induced genotoxicity in marine mussels: Assessment of genotoxic biomarkers and transcriptional responses of key stress genes. Mutation Research/Genetic Toxicology and Environmental Mutagenesis 754, 22-31. 12. Reinardy HC, E Skippins, TB Henry, AN Jha (2013) Assessment of DNA damage in sperm after repeated non-invasive sampling in zebrafish, Danio rerio. Journal of Fish Biology 82, 1074–1081. 13. Mottier A, V Kientz-Bouchart, A Serpentini, JM Lebel, AN Jha, K Costil (2013) Effects of glyphosate-based herbicides on embryo-larval development and metamorphosis in the Pacific oyster, Crassostrea gigas. Aquatic Toxicology 128– 129, 67– 78. 14. Reinardy HC, JR Syrett, RA Jeffree, TB Henry, AN Jha (2013)Cobalt-induced genotoxicity in male zebrafish (Danio rerio), with implications for reproduction and expression of DNA repair genes. Aquatic Toxicology 126, 224– 230. 15. Dallas LJ, VV Cheung, AS Fisher, AN Jha (2013) Relative Sensitivity of Two Marine Bivalves for Detection of Genotoxic and Cytotoxic Effects: A Field Assessment in the Tamar Estuary, South West England. Environmental Monitoring & Assessment. 85, 3397-3412. 16. Baron MG, WM Purcell, SK Jackson, SF Owen, AN Jha (2012) Towards a more representative in vitro method for fish ecotoxicology: morphological and biochemical characterisation of three-dimensional spheroidal hepatocytes. Ecotoxicology 21, 2419-2429. 17. AlAmri OD, AB Cundy, Y Di, AN Jha, JM Rotchell (2012) Ionizing radiation-induced DNA damage response identified in marine mussels, Mytilus sp. Environmental Pollution 168, 107-112. 18. Ahmed AR, AN Jha, SJ Davies (2012) The Effect of Dietary Organic Chromium on Specific Growth Rate, Tissue Chromium Concentrations, Enzyme Activities and Histology in Common carp, Cyprinus carpio L. Biological Trace Element Research. 149, 362-370. 19. Ahmed AR, AN Jha, SJ Davies (2012) The efficacy of chromium as a growth enhancer for mirror carp (Cyprinus carpio L.): an integrated study using biochemical, genetic and histological responses. Biol. Trace Element Res. 148, 187-197. 20. Al-Subiai SN, VM Arlt, PE Frickers, JW Readman, B Stolpe, JR Lead, AJ Moody, AN Jha (2012) Merging nano-genotoxicology with eco-genotoxicology: An integrated approach to determine interactive genotoxic and sub-lethal toxic effects of C60 fullerenes and fluoranthene in marine mussels, Mytilus sp. Mutation Research 745, 92-103. 21. Mustafa SA, SJ Davies, AN Jha (2012) Determination of hypoxia and dietary copper mediated sub-lethal toxicity in carp, Cyprinus carpio, at different levels of biological organisation. Chemosphere 87, 413-422. 22. Mosesso P, D Angeletti, G Pepe, C Pretti, G Nascetti, R Bellacima, R Cimmaruta, A N Jha (2012) The use of cyprinodont fish, Aphanius fasciatus as a sentinel organism to detect complex genotoxic mixtures in the coastal lagoon ecosystem. Mutation Research (GEM) 742, 31-36. 23. Millward GE, S Kadam, AN Jha (2012) Tissue-Specific Assimilation, Depuration and Toxicity of Nickel in Mytilus edulis. Environmental Pollution 162, 406-412.